Zacky Vengeance was recently interviewed by Full Metal Jackie, you can read some excerpts below. Zacky: "It has been quite the undertaking for the last… really, for the last year. We wanted to do something very, very special for our fans this day of age, and we put a lot of thought, care and consideration into not trying to drop breadcrumbs for them for months and bore them, and give them an event that they deserve. So we're really excited about it." 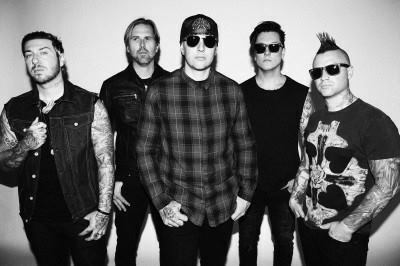 Zacky: "I think we are really in touch with what's going on around us in the world of music, trying to push the bar forward and try new and exciting things that our fans can react to. We wanna be on the frontlines of everything new and exciting. The old word order of putting out four singles before you release an album is so boring to us. We certainly don't know if this is the right way to go about it, but our fans seem to be enjoying it thus far." 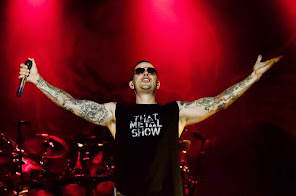 Zacky: "It's always something new and exciting for the fans. They never know what to expect, and that's something… It's something new and exciting for the fans. It's something that… I hope to give them something they'll never truly expect. If we give them a single, they might be getting the album the next day, they might be getting it the next year. I wanna keep people on their toes, and that's just kind of how we've always operated." Zacky: "To be honest, we never, ever let business weigh down the creativity of this band. In fact, the reason we have switched labels is because we put our artistry first and we wanted to be somewhere that cared about our vision. I mean, when we hear our fans say that we helped save their life, or somebody who's terminally ill comes to us and wants to meet us as one of their last wishes, it means a lot more to us than us being a profit-and-loss statement. So we had to find a home that agreed and wanted to be a part of it. And, as you can see, just with all the things that we've been up to and doing, and the songs on the album, an eight-and-a-half-minute single, a fifteen-minute song… they [the band's new record label, Capitol Records] just truly respect the artistry, and that's where our heads have been. We've never, ever let the business stuff weigh us down." Zacky: "It was extremely difficult, but we knew the importance of the end result. We wanted it to be a huge surprise for our fans, a big 'thank you.' 'You don't have to wait. I'm glad you're excited. Here's the album. Enjoy it.' And keeping it under wraps is so difficult. I mean, it's an ultimate test to me and my bandmates and our entire team to keep our lips sealed. We're so proud of the music, we wanna show it off, we want to tell our fans and scream it from buildings: 'Hey, this new album is coming. The wait is almost over. Thanks for being patient.' But we wanted to try something different and surprise them. It was very difficult. It's gonna be nice now that it's out there in the open."